This is currently my main orchestral trumpet. I have two tuning slides - one with the single water key and one with two uberblasenklappen, or Vienna Keys for C and A. The cost of the second slide was less than what most makers charge for adding keys to the standard slide. The Scherzer 8218W is based on the Monke design which is why they call it their "Kölner Modell". 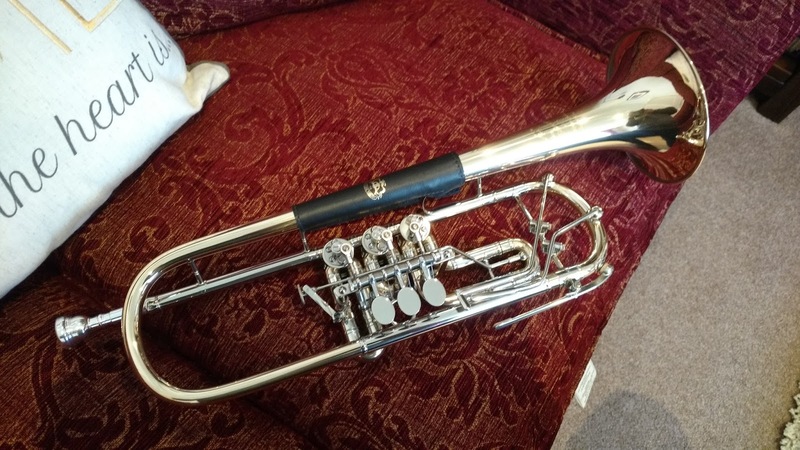 Te bore is 11.5mm (slightly larger than most rotary trumpets). The bell is made of gold brass and has a diameter of 140mm. 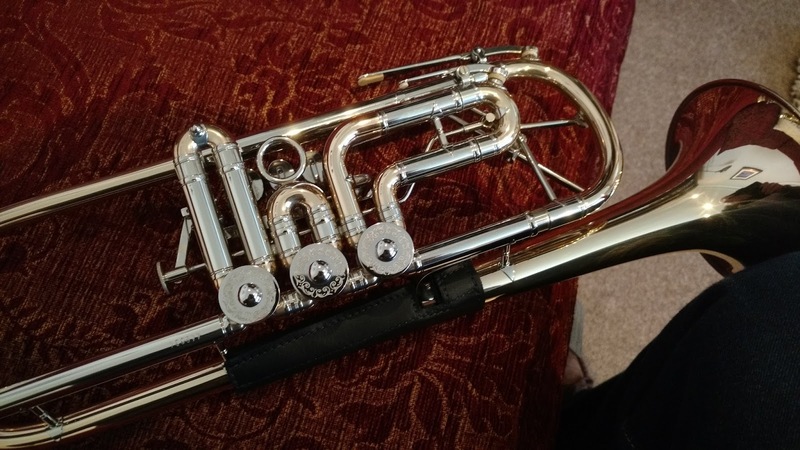 It has a trigger on the third valve slide and four interchangeable lead pipes (supplied in their own case). I have owned a Scherzer before, one of their lightweight models and this one is significantly better. It still has an annoying issue with the leadpipes extracting when you remove the mouthpiece. 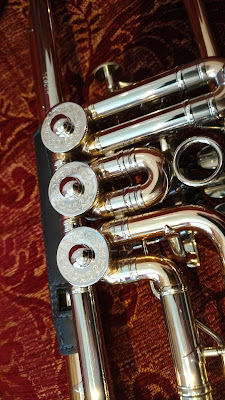 Some players get a ligature clamp (as found on a flugel horn tuning shank) fitted to prevent this. I think I might do this as I will not be changing leadpipes now I have selected one that I like. 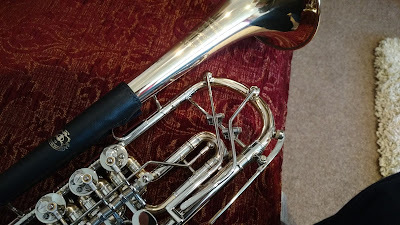 I am using a leather hand guard on the bell as I find this makes a rotary trumpet much easier to grip. The leather guard came from Leather Specialties.